For AMP members only, of course. 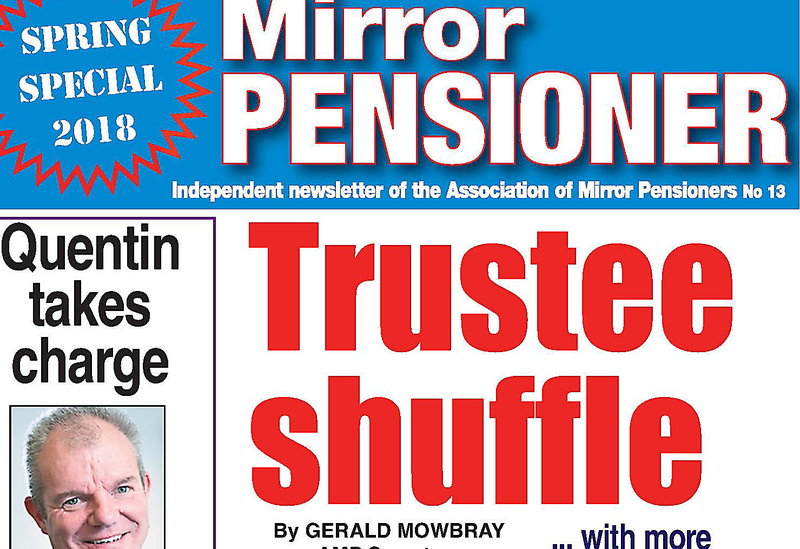 A fact-packed issue includes features on Trinity Mirror’s now six pension schemes, and the new chairman of the MGNPS board of trustees. Plus an updater on the current trustee board make-up. There’s Deborah Thomas’s snappy chairman’s view, full details of our AGM and Scottish annual meeting, and a farewell from now ex-trustee Andy Golden as he concentrates on his music and writing.